The Volvo V60 Cross Country is what you buy if you want a car that’s more capable off-road than the regular V60, but isn’t an SUV – as, unlike 99% of car buyers, you aren’t actually that fussed on 4x4s. Fair statement? Maybe. See, for the uninitiated, the V60 Cross Country is a raised up V60 with a more rugged all-round look. Same engines, same gearboxes, same interior. There’s really very little in it. 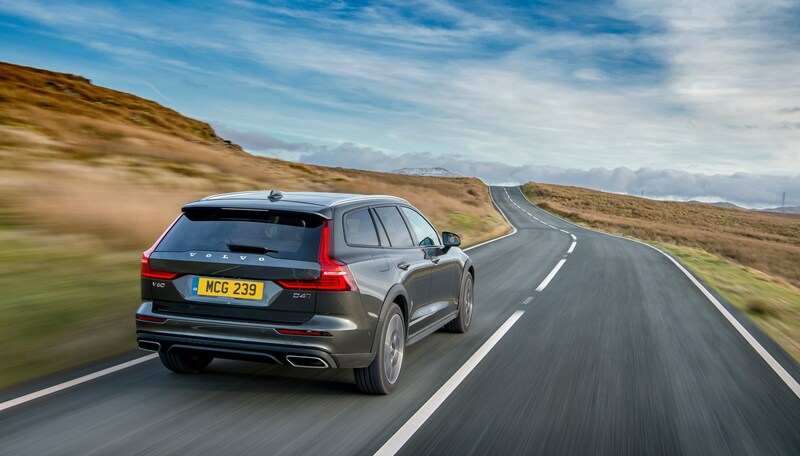 The big question, then, is whether should you opt for a Cross Country over the regular V60, especially since the former starts at around £3000 more than the closest equivalent version of the latter. To answer this, we’ll start by going into a little more detail on what you get for your money. What exactly are the differences between a V60 and V60 Cross Country? If we’re going to get technical, there are a number of tweaks to speak of. Firstly – and perhaps most importantly – the ride height has been increased by 60mm over the V60, while all-wheel drive, an automatic gearbox and Hill Descent Control are fitted as standard. Front parking sensors also make the kit list, as does comfort-orientated suspension (the regular V60 is hardly a Lotus Evora in the first place) and, crucially, that extra body cladding that just seems to ooze effortless, Wallander-esque cool. The wheel extensions, lower front grille and sill mouldings all benefit from a dash of charcoal coloured hard-wearing plastic. Rugged. Do the changes actually make any differences? While driving in the Arctic Circle is all very exciting – it doesn’t lend itself well to judging how well a car drives for the average buyer in the UK. Luckily, we’ve tried both and we’re pleased to report the V60 CC proves itself to be a very capable machine indeed. That extra ride height is undoubtedly useful, as, it doesn’t matter how good the tyres are if you keep scraping the car’s nose during off-road manoeuvres. You still won’t go as far away from the tarmac as a proper off-roader, but we can’t imagine there are many people actually spending money on a brand new 4x4 to chuck it around off-road. In the case of the V60, it’s surprisingly capable on muddy ruts and scrabbling up grassy slopes, and you can’t really ask for much more than that. The increase in ride height, combined with the comfort-orientated suspension, means that there is a slight agility penalty (and an increase in bodyroll) compared with a regular V60, but in all honesty it really doesn’t matter. The regular has never been able to rival the 3-series Touring or C-Class Estate for ‘sporty’ driving dynamics and it’s never been a problem – we rate it all the same. 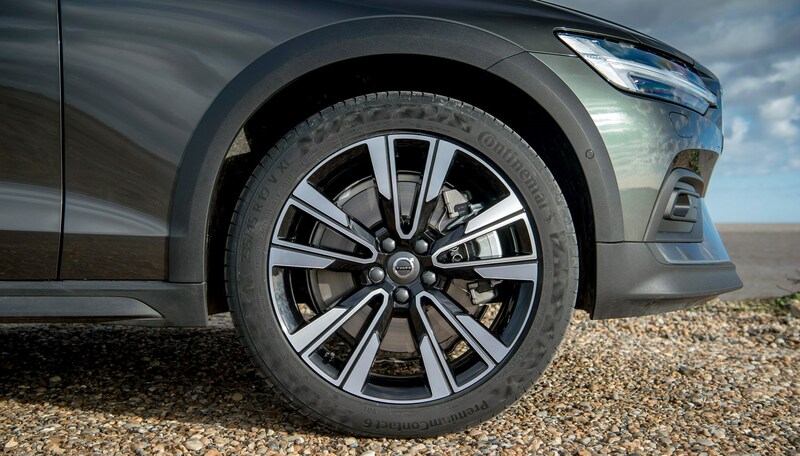 What the extra ride height and squishier suspension does do, is push the V60 Cross Country further towards the comfort end of the spectrum, making it even better at what it was already good at and offering a genuinely different alternative to its German rivals – what’s not to like in that case? In fact, drive it on a damp country road in the UK that’s caked in mud and rough surfaces, and the Cross Country skips across with less disturbance to the whole experience than a regular car, making it a very capable thing indeed. And in a world of faux-sporty trim levels – that, whisper it, are really just firmer (and more uncomfortable) versions of the standard car – the V60 Cross Country’s take on things makes a nice change. Is it better than the Audi A4 Allroad? Quite possibly. It feels more interesting, like it has personality, more coolness. It’s possibly one of the most accomplished all-rounders going. Anything else that’s worth mentioning? Yes. 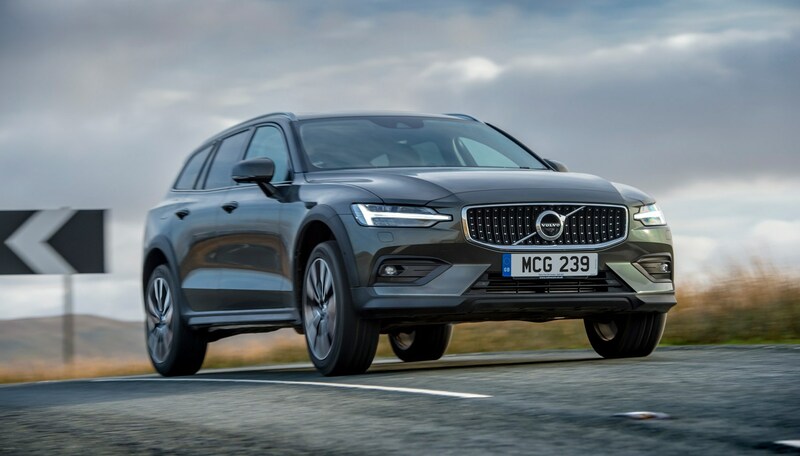 The V60 Cross Country will initially be available with just the 187bhp D4 2.0-litre diesel engine, capable of 0-62mph in 8.2 seconds and plenty of in-gear shove thanks to a chunky 295lb ft of torque. A 247bhp T5 2.0-litre petrol is due later in 2019 (and should shave around £1200 off the starting price), offering punchier outright performance (0-62mph in 6.8 seconds) but less overall torque (266lb ft). The V60 Cross Country could well be the pick of the range, so long as you can stomach the premium over regular versions. It does away with any sporting pretensions and delivers what should be a better all-round experience for it, amplifying the easy-going, luxury experience that the standard V60 can do so well. And if you don’t need or want the extra rugged ability, Volvo has enough other options to suit your wants and desires.